East Texas experiences a rainy, humid subtropical climate. The East Texas region has the Piney Woods in the north, and temperate grasslands in the south. This area falls within United States Department of Agriculture (USDA) Hardiness Zone 9a. East Texas gardeners should select trees according to appropriate zone, mature size, tree type and bloom color. Many tree varieties perform well in East Texas lawns and gardens. The southern magnolia (Magnolia grandiflora), also called the bull bay and the big laurel, commonly reaches over 60 feet in height in East Texas climates. This evergreen tree features fragrant, white flowers that bloom from April through June. These large, fragrant flowers reach about eight inches in diameter and produce pods containing red seeds. A Texas native, this tree bears leaves with green tops and rust-colored undersides. Southern magnolias prefer well-drained, acidic soils in partly shady to fully sunny locations. East Texas gardeners often use the southern magnolia as a shade, understory or accent tree. The slash pine (Pinus elliottii), a fast-growing member of the Pinaceae family, reaches about 90 feet in height. This pine variety features gray bark, red fruit and bundles of long, deep green needles. The slash pine sometimes suffers from fusiform rust. This pine tree prefers moist, acidic soils in partly shady locations. The slash pine works well as an ornamental tree or a shade tree. The loblolly pine (Pinus taeda), sometimes called the oldfield pine, belongs to the Pinaceae plant family. This pine variety thrives in the forests of East Texas. This fast-growing tree reaches over 90 feet in height and 30 feet in width. The loblolly pine prefers moist, acidic soils in fully sunny locations. This aromatic tree bears yellow cones, rust-colored fruit and pale green needles. Pine bark beetles and pine tip moths sometimes feed on the foliage. 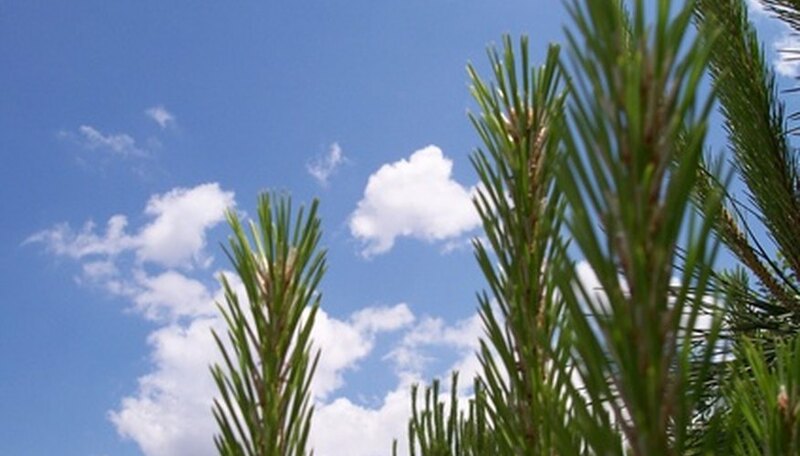 East Texas gardeners typically plant the loblolly pine as a landscape tree. The retama tree (Parkinsonia aculeate), also known as the Jerusalem thorn, belongs to the pea family (Fabaceae) and bears sharp thorns, green bark and long, narrow leaves. Flowers bloom from April through August, featuring yellow blooms with orange-red throats. The retama tree thrives in moist, limestone soils, but can withstand salt and drought conditions. This perennial tree typically reaches about 20 feet in both height and spread. East Texas gardeners often use the retama as an ornamental tree or a large hedge. The tulip poplar (Liriodendron tulipifera), commonly referred to as the tulip tree, belongs to the Magnolia family (Magnoliaceae) and thrives along East Texas stream banks. This tall perennial reaches up to 150 feet in height. The tulip poplar tree features star-shaped, waxy leaves that turn vibrant yellow shades in the autumn. The showy, yellowish-orange flowers bloom from April through June. Tulip poplars prefer moist, rich soils in partly shady to fully sunny positions. Tulip poplars work well in hummingbird and butterfly gardens.